Check out Tobi's Alice Cadet Hat Go for a vintage look with the Alice Black Cadet Hat! Featuring a curved faux leather bill and soft polyester crown! 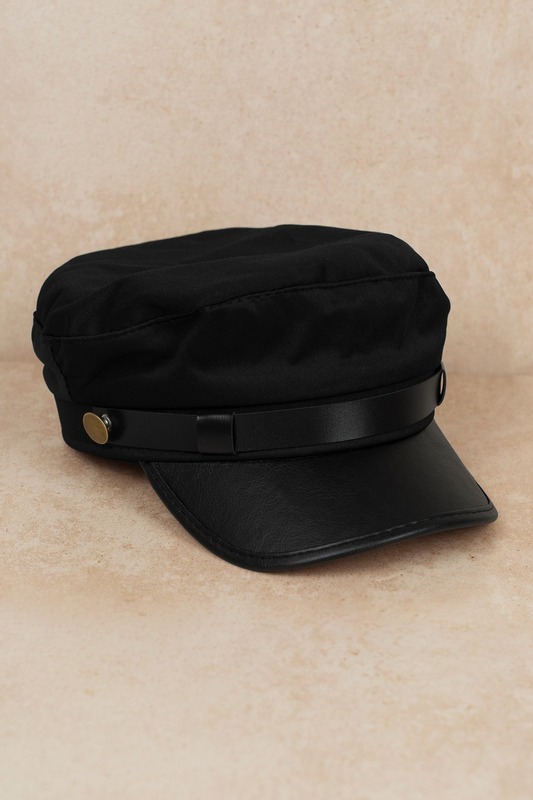 Go for a vintage look with the Alice Black Cadet Hat! Featuring a curved faux leather bill and soft polyester crown!